Fayyaz Ahmad BDS, FCPS, Morth RCS. FFDRCSI, FDS. Consultant Orthodontist, Security Forces Hospital, Dammam, Saudi Arabia. Prediction of mesiodistal width of unerupted buccal segment teeth is crucial for treatment planning in mix dentition. 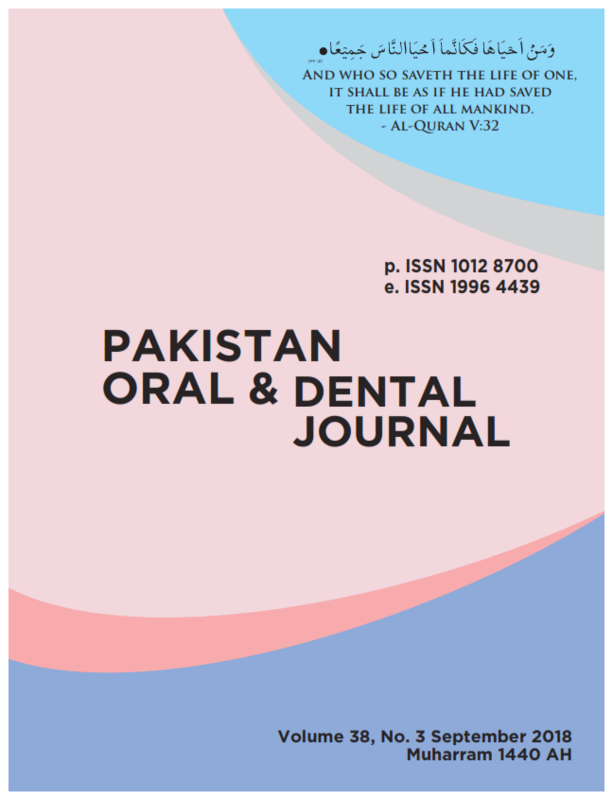 The aim of this study was to validate the applicability of a regression equation proposed by Melgaco for prediction of mesiodistal width of unerupted canine and premolars in mandibular arch (PSCP) in class II division 1 occlusal relations. The study was conducted on one hundred dental casts of class II division 1 patients that were collected after sample size calculation. Actual mesiodistal widths of the mandibular permanent canines and premolars (ASCP) was measured with the help of Vernier calipers. Mesiodistal width of erupted first molar and incisor was also measured. The predicted mesiodistal width of unerupted canine and premolars were determined by Melgaco equation. Descriptive statistics were generated for age, gender, predicted (PSCP) and the actual size of canine and premolars (ASCP). Pearson correlation was used to check the correlation coefficient (r value) and test whether significant correlation exist between the predicted and actual mesiodistal dimensions. A p-value < 0.05 was taken as significant. The study consisted of 37 males and 63 females with mean age of 17.74 ± 2. 14 years. Significant correlation, p-value <0.001 was found between predicted and actual mesiodistal width of canine and premolars in the entire sample along with terms of gender stratification. In conclusion, Melgaco equation shows positive correlation with actual mesiodistal width of the teeth in both genders having class II div I malocclusion with females having higher correlation coefficient.